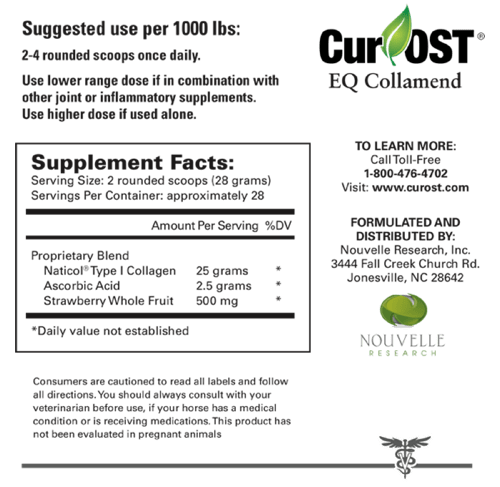 Cur-OST EQ Collamend supports overall cartilage, joint, tendon, skin, and hoof health by providing superior levels of highly bio-available Type I collagen. Support healthy tissue strength, integrity, recovery, and healing of many tissue types. 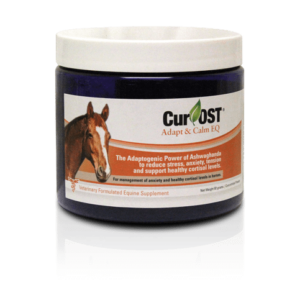 Aids to promote a healthy inflammatory response, joint and tendon function, while also supporting hoof health. A great addition to any program. Dose is flexible dependent on current regimen program. Is your horse experiencing ongoing joint, tendon, ligament or hoof problems? Support their growth and strength with Cur-OST EQ Collamend collagen! 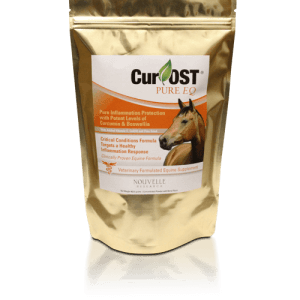 Cur-OST EQ Collamend supports overall joint, tendon, skin, and hoof health by providing a high quality, highly absorbable fish-derived Type I Collagen. Collagen is a vital component to many normal tissues allowing for improved strength, flexibility, and tissue moisture. Collagen is also vital for overall recovery and tissue healing, and is a major component of the backbone of the joint cartilage. Daily supplementation with Collagen in equine research studies not only demonstrates improved joint function and reduced discomfort, but also aids to promote a healthy inflammatory response which is important for overall joint health. 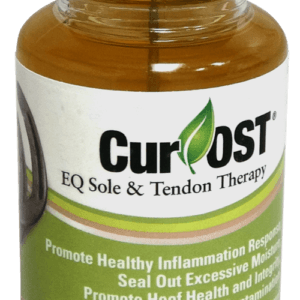 Cur-OST EQ Collamend is a beneficial product for any joint or tendon supplement routine!